While struggling to adapt to her childlike body, Erza encounters Minerva, who reveals herself to have joined the dark guild Succubus Eye to take revenge against Erza for her humiliation at the Grand Magic Games. 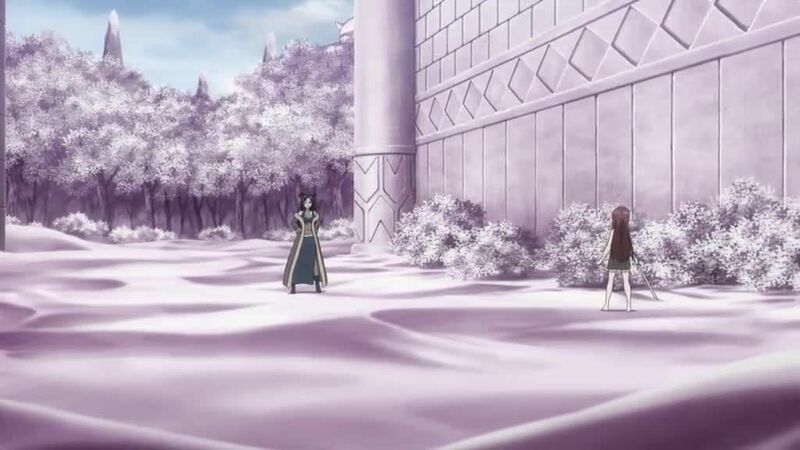 Meanwhile, the bottle of liquid Moon Drip accidentally breaks as the other Fairy Tail wizards fight Sylph Labyrinth over it, thawing out a small patch of ground. Natsu hears a familiar voice from the patch and sets off to find its source, only to run into Minerva’s monstrous guildmate Doriath, who turns him into a child as well. Finding his physical and magical strength severely weakened, Natsu runs away. Elsewhere, Lucy and Wendy are separated from Gray and followed by Sylph Labyrinth. The girls are nearly killed by the treasure hunters until Flare arrives and rescues them, wearing a new emblem in place of her Raven Tail mark. 4.8 / 5 - 81 ratings.